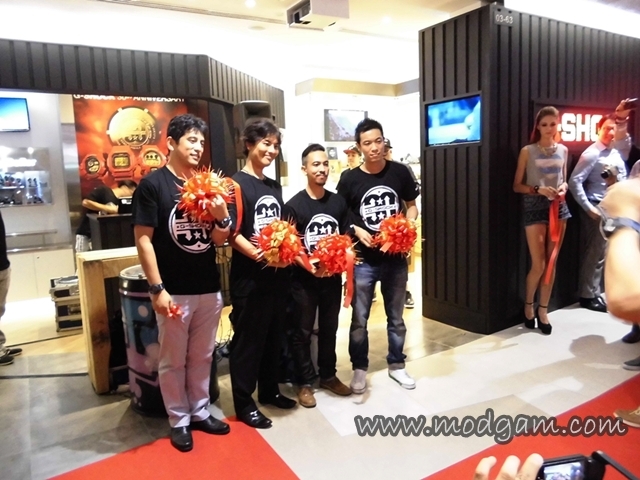 I was recently invited to the opening ceremony of Casio first ever G-Shock concept store in Asia at Plaza Singapura Shopping Mall new extension. 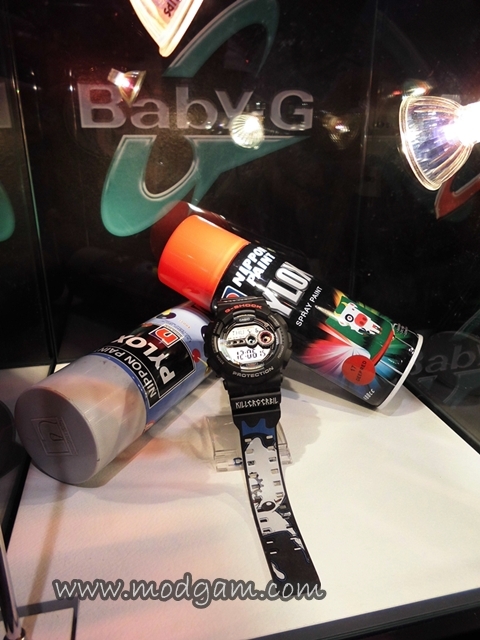 What makes this Concept store different from other Casio G-Factory store is that it spans over 382 square feet and is dedicated to house only watches under their namesake brand G-Shock watches and its sister brand, Baby-G watches. I was really excited for Casio will also be revealing 2 limited edition watches at the opening ceremony! 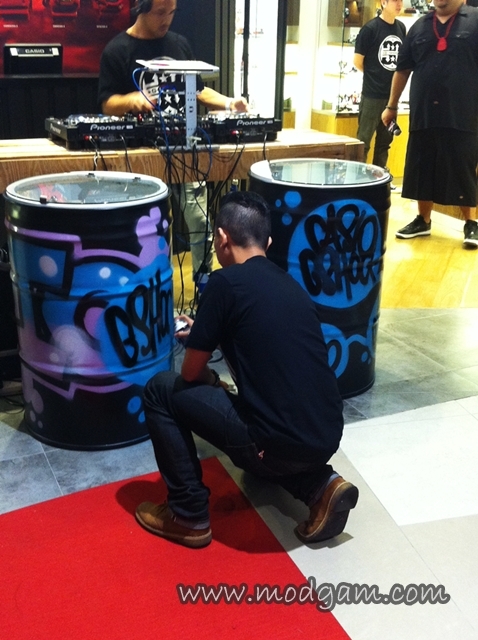 This collaboration is also Casio’s bid to recognise Singapore’s creative talents in various industries such as music and street art/culture. I was grooving along when three of The Butter Factory Resident DJs Andrew T, Dave Does & Stanley took turns for their individual turntables performances. Working along to their beats, The Killer Gerbil begins spraying his iconic Killer Gerbil character and set “Casio G-Shock” in his signature graffiti font. 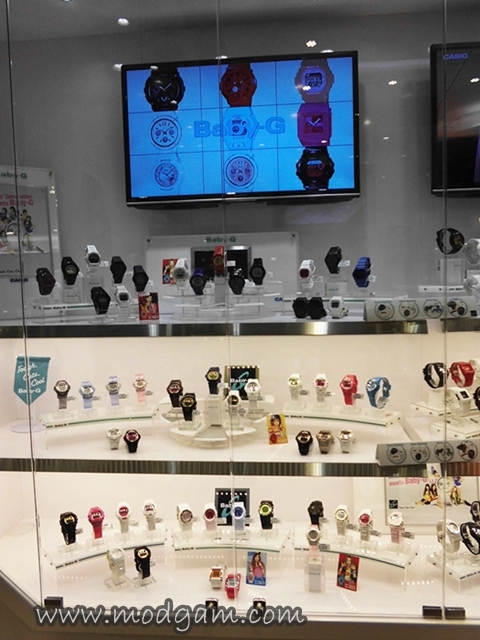 Mr Watanabe and Mr Sezai were present along with Andrew T and The Killer Gerbil in a ribbon cutting ceremony that marked the opening ceremony of Casio first ever G-Shock concept store in Asia! 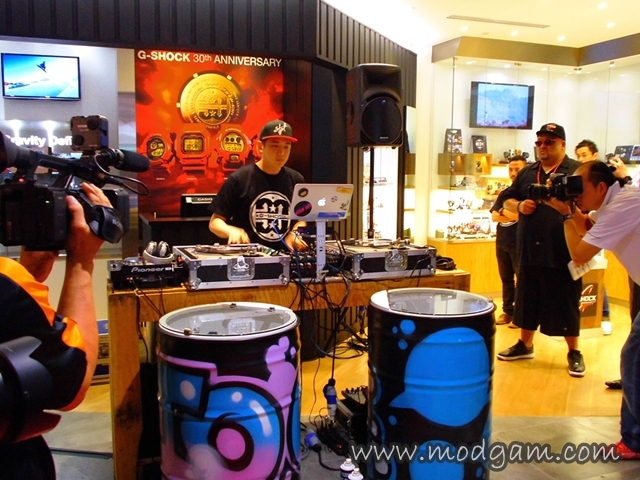 In collaboration of this joyous occasion, Casio collaborated with AOS, a 6-man DJ/emcee collective comprising three of The Butter Factory Resident DJs Andrew T, Dave Does & Stanley and three international talents T.T, Hapa & N’fa, and The Killer Gerbil, who is recognised for his street art to launch two limited edition G-Shock watches. G- Shock x AOS G-8900A, designed by AOS, features a sound wave motif that resonates the power of music, expresses the collective’s creativity as music makers and party starters and represents the group’s passion for their profession. G- Shock x The Killer Gerbil G-8900A, designed by The Killer Gerbil, stands out from the classic G-shock with its liberal use of colors against a black watch body, featuring a colored illustration of the Killer Gerbil over the length of the lower watch strap, a blue motif with the character’s name and text in graffiti font, representative of the artist’s forte. 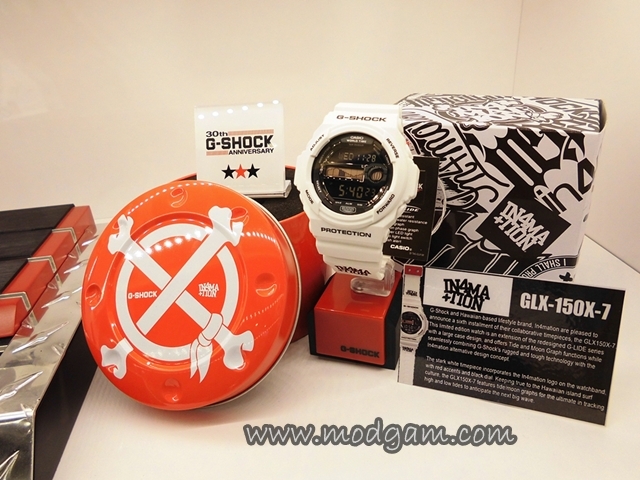 Both watches retail at S$209.00 each and is sold exclusively at the G-Shock concept store. 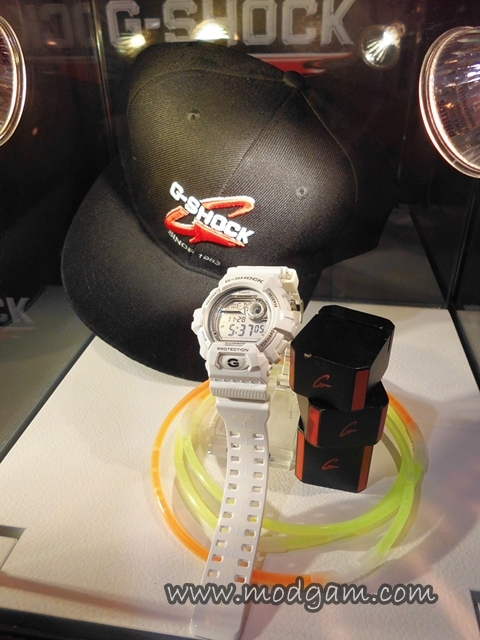 G-shock Opening Celebration Promotion: To celebrate the opening of G-SHOCK, shoppers who spend a minimum of S$130.00 in the new store will receive a limited edition G-Shock cap! While stocks last. The very fun hip-hop emcee for the day Sheikh Haikel with his beautiful wife, Anna Belle Francis. 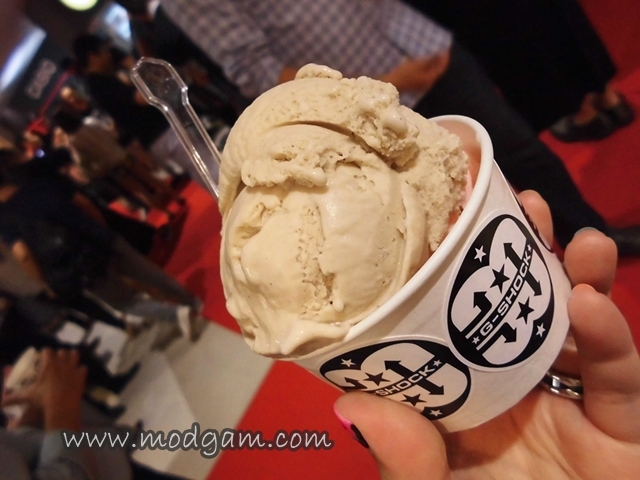 We were also treated with ice-cream and I couldn’t resist having 2 scoops! 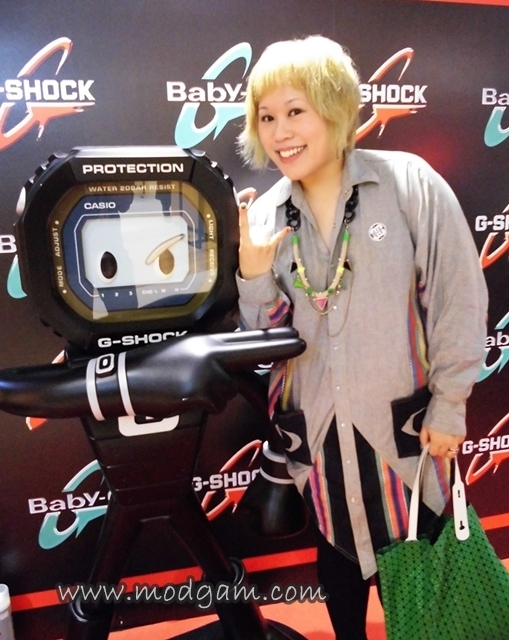 Thank you G-Shock for the amazing time. Pictures watermark are taken by me using my Casio EX-JE10.